This week marked the launch of EVE Valkyrie for both non-VR PC and PlayStation 4 platforms. We are currently working on a proper review of the game, but I feel the opportunity is great to have a conversation about a long forgotten staple of the EVE Online universe. Yes, there is no doubt that I have been one of the biggest supporters of Avatar gameplay (WiS and FPS) for years. As seasoned Art Director, I know the importance of having a “human element” feature within a product and the empathy factor of it is simply too powerful to be ignored. Given how poorly the promising Walking in Station (WiS) project went, the proposition of visiting the planets fly over every day was indeed exciting. DUST 514 was, by design, one of the most ambitious first-person shooters experiences I have ever had the privilege of playing. For the casual gamer, its futuristic look might be a bit generic especially compared to contemporary FPS offerings, but underneath the surface DUST 514 presented one of the most immersive and detailed visions of New Eden ever developed by CCP Games. The building design, the procedurally generated maps, the barges were kind of cool stuff to see. The experience of an orbital strike, was both a bit underwhelming and risky for the EVE Online participant who could inadvertently end up on the receiving end, was a constant reminder of the bigger picture beyond the ongoing match. Of course, there were the shortcomings of the DUST 514 experience. For many players (myself included) the main complaint was the lack of keyboard/mice controls. For others, having DUST being released on a platform (Ps3) that was due to be updated with an entirely new, incompatible platform (Ps4) didn’t warrant a long term commitment. I don’t blame CCP Games for this, as far as I know, they were commissioned to build the game by Sony. Despite its faults, I cannot help to imagine what could have been if DUST 514 was also released on PC. 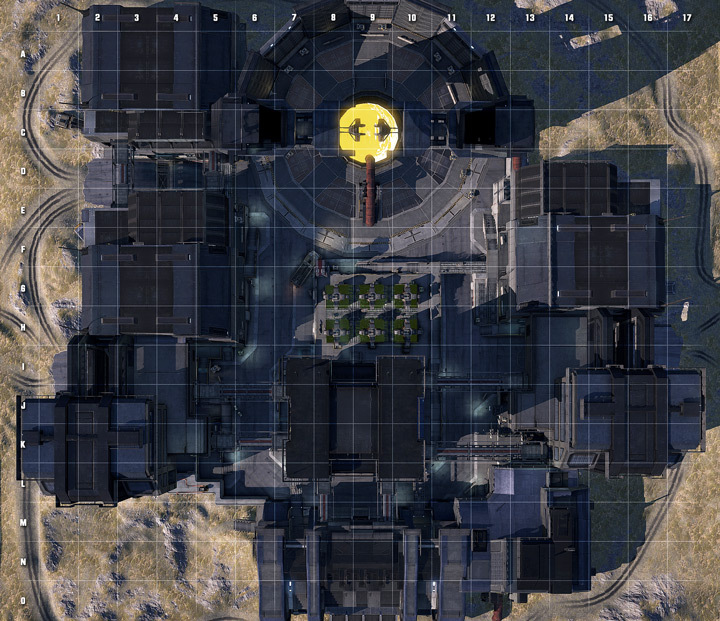 It has been one and a half years has passed since the DUST 514 servers closed and many players who invested hefty sums of RL cash remain left in the cold. The hope that DUST 514 would see a PS4 port was quickly shot down due to the architecture differences between the two platforms. This is a build of the game that was created for Fanfest. 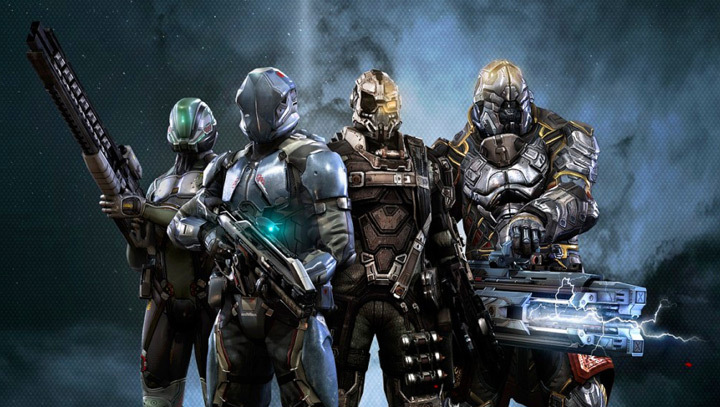 The full game has all the suits and weapons from Dust 514 and as you can see from the Precision Rifle on the light suit, new weapons. This is a live game played over the Internet. There is no LAN at Fanfest for this to work. As to comments about the MMO being removed, what evidence do you have from a DEMO of the second by second gameplay that the MMO is getting removed? Skills, Progression these are still being worked on and not part of this DEMO. Yes, CCP Rattati in an interview that there will be likely less emphasis on the MMO aspects while concentrating more on gameplay and making it fun. This does not mean that all MMO is going to be removed. The response was simply explosive illustrating how much enthusiasm there is from the player base to have yet another way to blow each others’ brains out in the far reaches of outer space. In my opinion this should at least nudge CCP Games into making some sort of update about the project. Like with any company product, the success of NOVA will solely tied to the financial gain CCP Games gets from it and to be fair this is not wrong. CCP is a business and we seem to forget this in our passion for all things New Eden. CCP goes out of it’s way to put on events and interact with the community, which is rare for a gaming company and I commend, but they are a business. If Project NOVA were to ever see the light of the day, I would like CCP Games to take a different approach rather than the ones they made with DUST 514 and Valkyrie WarZone. For example, I personally shell out USD 360/yr for the privilege of having my character in Omega state, despite the fact that I haven’t been too active until recently. Having an active subscription for both my characters resulted that in the eight (8) years I have been playing EVE Online, I have invested about USD 2500 in it. And I have absolutely no regrets about it. Apart from being a stand-alone subbed game (as opposed to a one-time payment or a microtransaction one) a hypothetical NOVA being offered as an add-on to my EVE Online subscription wouldn’t bother me at all. Many players would welcome with open arms the ability to pay their NOVA sub via PLEX. Having a constant cash flow from a subscription-based FPS would benefit both CCP Games bottom line and interest to ensure the continuous development of the game. Don’t want to play NOVA? Don’t plex it. I know there isn’t a chance in hell I would shell out USD $2500+ in microtransactions, but the subscription model is an entirely different and more acceptable proposition, despite being more expensive in the long run for the player. Whatever decision CCP Games decides to make they should move forward with NOVA. First Person Shooters are a game experience which are very easy to get into. A integration with EVE would not only deepen our immersive universe but would also certainly bridge the gap between having a new character and completing the skill queues to actually do useful stuff in game. I also feel this would further push CCP and New Eden into a larger gaming community. The other day I saw a pretty cool Destiny ad during a Cowboys game. This is the kind of exposure and reach I want CCP Games to have with a larger New Eden and intertwined vision. p.s. : I want to personally call out CCP’s CEO Hilmar Veigar for never officially telling us what the “514” stood for in the game title, the world needs to know! Hey there. I discovered your website by means of Google whilst searching for a similar topic, your website got here up. It seems to be good. I’ve bookmarked it in my google bookmarks to visit then. Hello there. I discovered your site by way of Google while searching for a comparable subject, your site came up. It seems great. I have bookmarked it in my google bookmarks to visit then. Hiya, I’m really glad I have found this info. Nowadays bloggers publish only about gossip and web stuff and this is really frustrating. A good web site with exciting content, that’s what I need. Thank you for making this website, and I’ll be visiting again. Do you do newsletters by email? Hi there. I found your blog by the use of Google while searching for a comparable matter, your web site got here up. It appears good. I’ve bookmarked it in my google bookmarks to come back then. I¡¦ve read several excellent stuff here. Certainly price bookmarking for revisiting. I surprise how a lot attempt you set to make any such excellent informative site. Thank you a lot for sharing this with all of us you really recognise what you’re talking approximately! Bookmarked. Kindly also talk over with my website =). We may have a link trade arrangement between us! Hi there. I discovered your blog via Google even as looking for a related subject, your site got here up. It appears great. I’ve bookmarked it in my google bookmarks to visit then. Hey there. I found your web site by way of Google while searching for a related matter, your web site came up. It appears to be great. I have bookmarked it in my google bookmarks to come back then. Hello there, just changed into aware of your weblog via Google, and found that it is really informative. I am going to be careful for brussels. I will appreciate when you proceed this in future. A lot of folks will likely be benefited from your writing. Cheers! I’ve been surfing online greater than 3 hours these days, yet I never discovered any fascinating article like yours. It¦s pretty price enough for me. In my view, if all site owners and bloggers made good content as you did, the internet might be much more helpful than ever before. It¦s actually a cool and useful piece of information. I am glad that you shared this helpful info with us. Please keep us up to date like this. Thanks for sharing. iChaNg Very neat blog.Really looking forward to read more. Really Great.